Can Parents ‘Robot Proof’ Their Child’s Job Future? 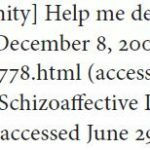 These chapters from Debates in the Digital Humanities covered various issues that DH continues to deal with. Matthew Wilkens chapter about canons was one of the points of view that stood out to me, as I became familiar with this text. Wilkens speaks about how canons have become a status quo in DH. He writes about how this way of thinking is detrimental to the growth of DH. Wilkens writes about how projects in DH have increased our awareness, as we continue to celebrate some of our most notable intellects. Consequently many of our traditional scholars continue to refute the notion that new technologies act as a trailblazer for traditional practices. Why is this an issue? Pedagogy should be based on results, not techniques (I’m not saying that techniques are not important). But if we are truly committed to advancing academia, we must embrace various methodologies, as we work to expand the academy. The next text that caught my eye was from Paul Fyfe. Fyfe unpacks the relationship between digital publishing and contemporary editing. He argues that methods such as peer review and traditional proofreading have become inadequate as we approach new methods of presenting academic work in the digital world. He quotes Dan Cohen, as he explains that in the open web, true quality trumps minor errors. I definitely see Cohen’s point of view. Is it realistic to expect perfection from academic publishing? With that being said, what methods of editing produce perfection? As someone who has done some work in publishing, I understand the rigorous process that must be undertaken when striving to produce perfected product. As a graduate student with less experience in academic publishing, I question Fyfe’s expectations. Is it fair for us to expect more from academic publishing, in oppose to publishing in general? Ultimately I believe perfection is possible, but I’m not sure what would need to be done to achieve it. A question on citing email communications? When signing up for provocations, I chose ePortfolios since I was interested in learning more about them for my practice as a pedagogue. As I went through some of the articles, I realized how many ways ePortfolios can happen that help to enhance the meaning of learning. In “I Lit: An E-Poetry, E-Portfolio Exhibit,” the authors showcase drafts of poetry that is also followed in its final visual artistic representation. Obviously, there are drafts of any piece of writing, but I never thought of publically publishing those different versions for the world to see. Personally, I never conceived of writing poetry in this way even though I have my students work on essay drafts in my high school English courses. The line that I feel best resonates the purpose of ePortfolios is found in “More Than Assessment: What ePortfolios Make Possible for Students, Faculty, and Curricula”: “ePortfolios can offer students the opportunity to make connections across their experiences, synthesize their learning, and articulate the meaning and significance of their experiences and learning first to themselves—which is no small feat and should not be undervalued—and then, potentially (but not inevitably), to external audiences.” To me, synthesizing learning and collecting with the larger internet audience should be the goal of ePortfolios if we are to use them in education. We should always be asking ourselves what the broader questions are and why we are using this. However, it seems impossible to make one streamlined ePortfolio that works for everyone. Apparently, “as of 2013, 50% of colleges and universities across the country have already adopted an ePortfolio platform,” so I question if there is a universal software that can be made that is a “one size fits all” across education institutions/environments. And if so, how would that work? If not, then how do we ensure that ePortfolios are used mindfully and purposely in instruction? These articles also reminded me of Randy Bass, where he prophetically urges that educators should use technology mindfully in their practice. The ePortfolios mentioned in these articles seem to be that way, but it’s unclear to me how much thought and planning were put into doing this ePortfolios before their publication. Are tackling ePortfolios taking a leap of faith for educational institutions? Do teachers need to have a tech “competency” to ask students of this? And furthermore, are ePortfolios realistic in urban environments where there are inequities that exist with access to technologies? Now, with internet neutrality repealed, what does that mean for equitable access to educational material, or material that is crafted to be educational like ePortfolios? Side note: What I also particularly loved was the hypothes.is resource highlighted in one section of the piece, which was used as a way for the authors to reconsider how to publish material surrounding ePorfolios. Even though it wasn’t a pivotal point of the paper, for some reason, this struck me. I looked them up, and it turns out that they are a non-profit organization that made a free platform for collaborative annotations. In other words, imagine Wikipedia and Facebook had a baby, and this baby was a super collaborator annotating pro! As soon as I finished reading the article, I downloaded the add-on to my Google Chrome browser and started playing around. Obviously, the about section was indeed annotated with people testing out the software for the first time, but things started to get interesting as I went around to various websites with it. As you bounce around from website to website, you can tell how many people annotated that page already. Anyway, this was a cool annotating resource I learned about, and I can see how it made the publishers lives easier in prioritizing materials. We will be discussing ePortfolios next week with our guest presenter, Dr. Joe Ugoretz, the chief academic officer of the Macaulay Honors College, CUNY. In addition to the readings listed in the syllabus, Joe recommended that everyone explore the International Journal of ePortfolio (IJEP) . We may also have you read one or two scanned selections from the Eynon/Gambino book, but not sure as yet. Ignore the Light, Chen, and Ittelson reference for next week’s class; too hard to find the book. how to access Fred Benenson, “On the Fungibility and Necessity of Cultural Freedom”; and Michael Mandiberg, “Giving Things Away is Hard Work: Three Creative Commons Case Studies” in Mandiberg, The Social Media Reader, Part V: Law. I was trying to access the article “Fred Benenson, “On the Fungibility and Necessity of Cultural Freedom”; and Michael Mandiberg, “Giving Things Away is Hard Work: Three Creative Commons Case Studies” in Mandiberg, The Social Media Reader, Part V: Law.” However, when I clicked the link to the E-book, it requires that I should log in by selecting my institution from a list, and CUNY GC doesn’t seem to be there. So I was wondering how to access the file. Thank you. Posting the Hyde reading for class on Nov 20 here. No idea why, but the file corrupts when uploaded to the group site. Lewis Hyde, Common As Air: Revolution, Art and Ownership (Farrar, Straus, Giroux, 2010), 23-38. In his essay, “The Rationale of Hypertext”, Jerome McGann makes the case for de-centered, hypertext editions of literary works. According to McGann, who is a textual scholar, current critical editions (editions that offer authoritative versions of texts and include critical commentary or variants) are limited by the book form: “The logical structures of the ‘critical edition’ function at the same level as the material being analyzed. As a result, the full power of the logical structures is checked and constrained by being compelled to operate in bookish format” (Radiant Textuality: Literature After the World Wide Web 56). Basically, books establish formal limits to the study of literature. Because the book determines how the scholar engages with the text, it constrains his analysis. Throughout the essay, McGann offers several examples of nontraditional texts that cannot be adequately represented in book form—poems set to music, based off pictures/paintings, or relying on the specifics of inscription/medium. In the example of Emily Dickinson, who often created her poems to fit the scraps of paper available, McGann explains that it would be difficult to combine the “facsimiles” (exact copies, or images of text) with appropriate scaffolding and criticism in a book form. The result would be too vast and unwieldy. McGann concludes that hypertext editions offer an opportunity for presenting texts in a more flexible way. He makes the comparison between hypertext editions and libraries (which are collections of texts, rather than a single text) and the internet (where information is connected through a network). He argues for presenting texts and all their variants, components, and critical materials in non-centralized form, so “when one goes to read a poetical work, no documentary state of the work is privileged over the others. All options are presented for the reader’s choice” (Radiant Textuality: Literature After the World Wide Web 73). This dramatically breaks open the traditional text to new ways of reading, and therefore, of analysis. I have one major question about McGann’s proposal. It’s obvious from his essay that his main audience consists of other textual scholars or literary scholars in general. I’m wondering how he might present such a proposal to students of literature, or people in other disciplines? Re-reading this text (I first read it several years ago, when I was much more idealistic and less familiar with teaching), I was struck by the pedagogical implications, or lack thereof. I’m not sure how students would interact with these “non-centered” texts. How would undergraduates, especially those who don’t have much experience handling the book, or experience with literature in the first place, have the confidence to confront and navigate through the hypertext edition? How could we scaffold the experience in a way that doesn’t constrain them? To spur your thinking, I’m going to link to the Rossetti Archive which is McGann’s project. I’m also going to link to one of my favorite online editions, on Virginia Woolf’s To The Lighthouse. Both of these resources are non-centralized, and it’s up to the user to determine her engagement with them. How might today’s students (who are largely familiar with hypertext, but less so with literature) interact with these resources? Office Hours: Rm. 7301.10, by appt. Office Hours: Rm. 3204.09, by appt.